I have been accepted to the Contemporary Arts Center at Woodside Artist Residency Program this Summer during May 27 to June 9, 2012. This is a newer program but offers a nice variety of equipment and studio resources and the location within the Woodside Church is breath taking. The past Artist in Residence range in medium, but what drew me to the program is the large selection of artist come from performance, installation, and video backgrounds. I have confidence that not only the location will aid as a rich resources to make work within but being around the other artist will be a great motivation and influence, hopefully I can find others to collaborate with on some video shoots. 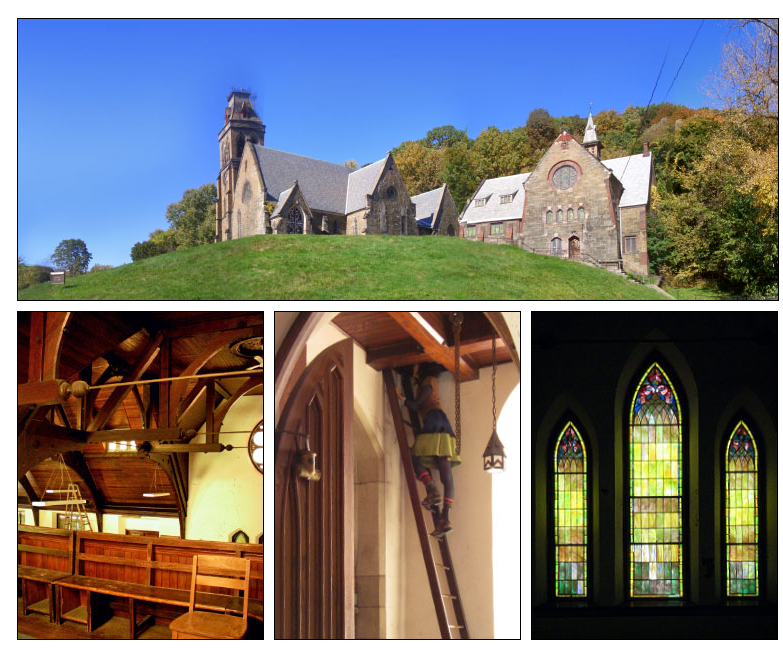 The Woodside Church and Chapel is the last remaining structures of the once vast Upper Works of the Burden Iron Company, owned by Henry Burden; and is now on the National Register of Historic Places.